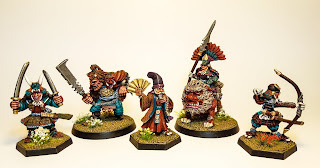 As this Nippon warband has grown, it's been essential that I include the classic Jes Goodwin oriental ogre as one of the stand out figures. He's actually a recent purchase (big thanks to Steve Casey there!) and I can't believe it's taken 30 odd years to finally get around to adding him to the collection. It goes without saying that's he's an incredible sculpt; plenty of lovely detail there. I particularly like the skull pommelled sword. So I've just got three figures to go to complete the warband. Well two actually as I've got one of them squared off already. Fantastic addition to the group. 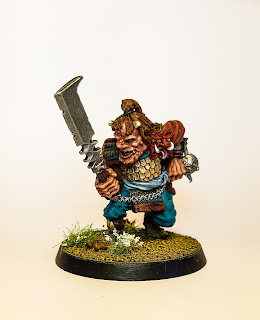 I love that texture you've managed on his blade- did you supple the paint on? Beautiful delicate basing too! Thanks Tom! The orc general banner is a perfect example for that. Sadly I don't have one at present. Well it may have taken 30 years but the result was worth it. Thanks Phil. Yeah one of life's mysteries, perhaps I felt I never had a use for him. 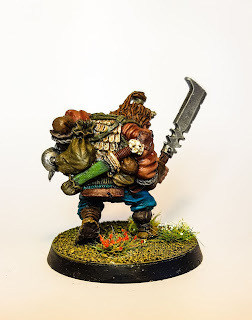 I couldn't see the warband without him, for sure. Cheers Nico. Glad you like him. 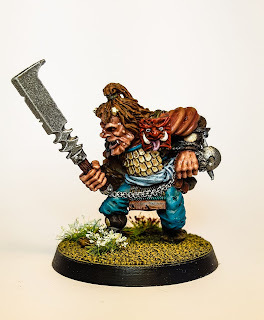 Had a lot of fun painting him. Yes! 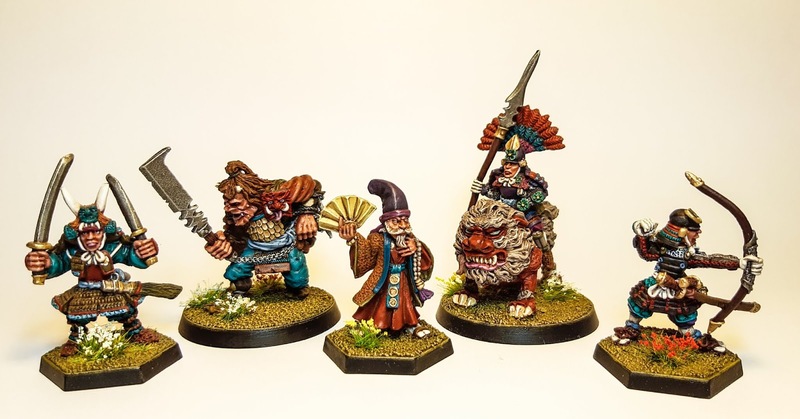 Another great paintjob for this warband. Thanks Sean. The whole group have been great fun, if not tricky colourwise, to work on. You've really brought him to life with all the different colours. And I like how you've done the metals in different colours and with different techniques. You're always really sophisticated with your colour choices. High praise indeed Curis! Thank you! I take a lot of time procrastinating over colour choices, perhaps too much sometimes but I guess it proves the making or breaking of a good paint job.